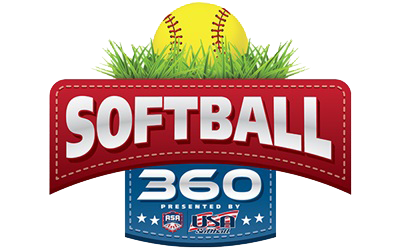 The web site ("Site") you have entered is operated by or on behalf of the USA Softball, the National Governing Body for the sport of softball. By using our Site, you consent to agree with the terms of our current Policy as posted in this area of the Site. If you do not agree with any term in this Policy, please do not provide any Personal Information on this Site. If you choose not to provide Personal Information on this Site, you may not be able to do certain things, like access particular areas of the Site, customize the Site, download programs, enter a sweepstakes or contest or request product information. As used in this Policy, "Personal Information" means any type of personally identifiable information such as your name, street address, telephone number, credit card information, screen name, email address, etc. This Site may collect any of these types of Personal Information. Please be assured that USA Softball will not collect any Personal Information from your visits to our Site unless you provide this information voluntarily. When you provide us with Personal Information, you are authorizing us to use the Personal Information in accordance with the terms of this Policy, which includes your right to limit our use of the Personal Information as described in this Policy (see "Who to Contact" below). This Site may also collect Personal Information from you about a third party (e.g., the Site might allow you to send an electronic "post card" to a business associate, in which case we will need that person's name and e-mail address). Please note that we use such information only for the specified purpose (e.g., to mail the post card) and we will not contact the third party again by e-mail unless and until the third party contacts us. Certain aggregated information which is collected from registrants/website users may be provided to the United States Olympic Committee (USOC), of which USA Softball is a member, or government agencies for diversity reporting purposes. Registration to become a registered user of the Site. At times we may retain third parties to analyze data we collect on our Site, including Personal Information, solely to help us improve our services or products and our Site. In addition, if you order a product or service from us, we may share Personal Information with suppliers and other third parties to allow delivery of such product or service. These suppliers and other third parties are not authorized by us to use your Personal Information in any other way. Finally, please note that we will release your Personal Information if required to do so by law, or by search warrant, subpoena or court order. In addition, we are constantly trying to improve how we promote our Site. To help us do this, we may measure the effectiveness of our web presence by determining what you clicked on to get to our Site. Information about your computer, such as your IP address (a number assigned to your computer whenever you surf the Internet), the type of Internet browser you are using and the type of computer operating system you are using may also be collected and linked to your Personal Information. This is to ensure that our Site presents the best web experience for visitors, and that it is an effective information resource. All Personal Information is maintained in confidence by USA Softball and USA Softball will take reasonable precautions to prevent unauthorized access, modification or misuse of your Personal Information. Because of federal law, we cannot collect any personal information from a child under the age of thirteen without the consent of that child's parent. USA Softball encourages parents and guardians to spend time online with their children and to participate in the activities offered on the Site. We encourage parents and guardians to take an active role to protect the privacy of their children and to prevent inappropriate use of information about their children. No information should be submitted to or posted at the Site by guests under thirteen years of age without the consent of their parents or guardian. Parents and guardians should instruct their children never to give out real names or any other identifying information over the Internet without first getting parental permission. Unless otherwise disclosed during collection or in this Policy, USA Softball does not provide to any third party for any purpose whatsoever any Personal Information, regardless of its source, from our guests under thirteen years of age. The Site contains links to other sites produced by USA Softball or unrelated third parties. Please note that USA Softball is not responsible for the privacy practices of third party websites. We encourage you to be aware of this when you leave the Site and to read the privacy policies of every website that collects personally identifiable information from you. This Policy applies only to the Site. USA Softball reserves the right to modify or remove this Policy at our discretion. We will post any modification to the Policy here at this Site and we encourage you to visit this area frequently to stay informed. Please write to us at USA Softball, 2801 N.E. 50th Street, Oklahoma City, Oklahoma 73111 or call us at 405-424-5266 if you have any comments or questions about this Policy or to report any violations of the Policy. Again, USA Softball is committed to protecting your privacy in connection with our Site. Please do not hesitate to contact us if you have any questions, comments or concerns about this Policy.